This is Massimiliano Castro the best butcher in Sicily. 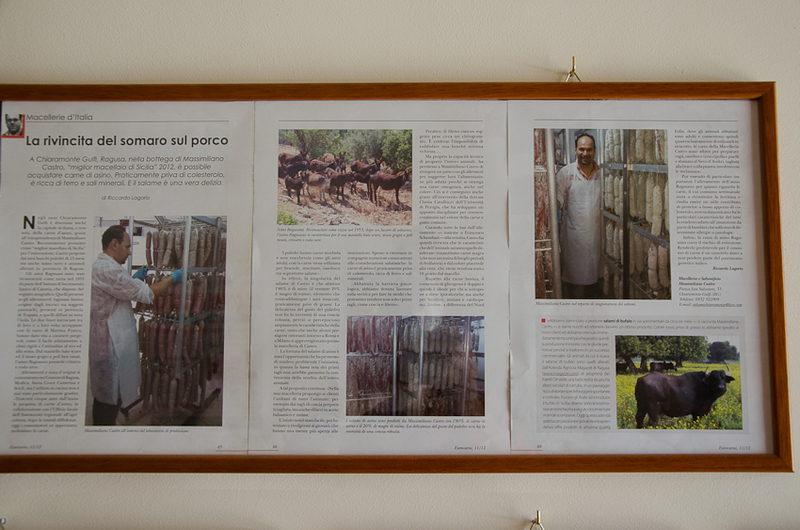 I visited him in his butcher shop in Chiaramonte Gulfi in the province of Ragusa. As you can see he is quite famous. And his praise is well deserved. 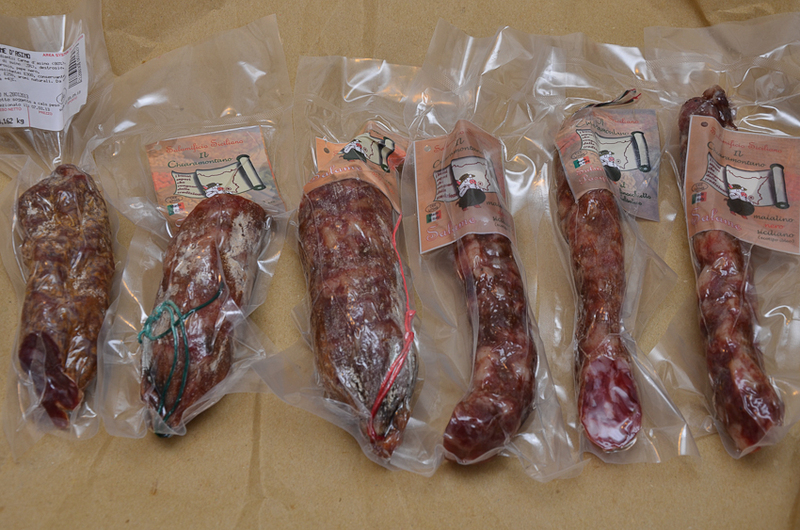 I sampled and bought small pieces of his different salami and salamini (small salami). Some are flavoured with Sicilian pistachio from Bronte or carob or wild fennel from the local area. Most were made with the prized meat of the black pigs from the forests of the Nebrodi Mountains. Their meat is of extremely high quality. The wild breed is diminishing but with the help of the Slow Food Presidium this indigenous breed and the products obtained from this pig is being preserved. 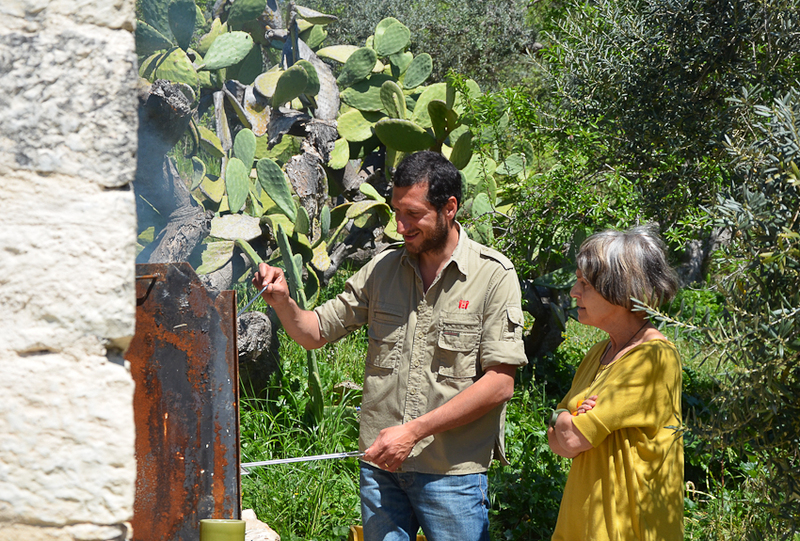 Massimiliano sources his pigs from farmers who are breeding them on organic farms. 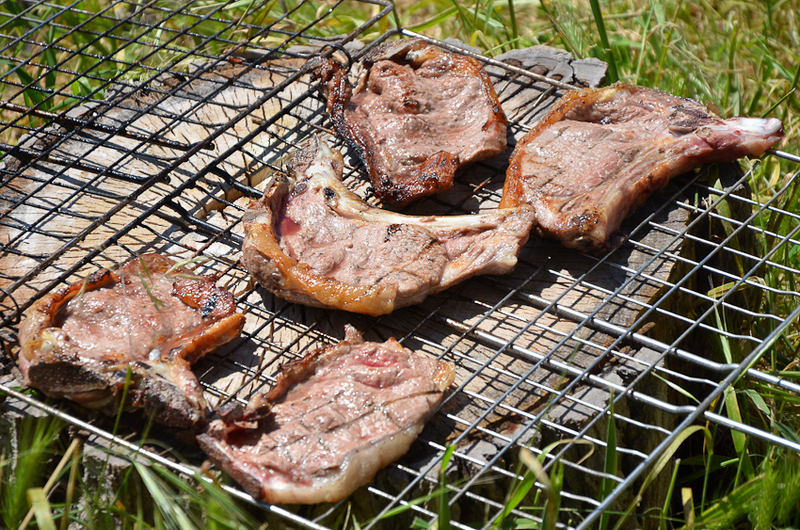 He is also making some with asina meat (female donkey). Do not be alarmed, donkey meat was eaten in most parts of Italy once and was also used in smallgoods. 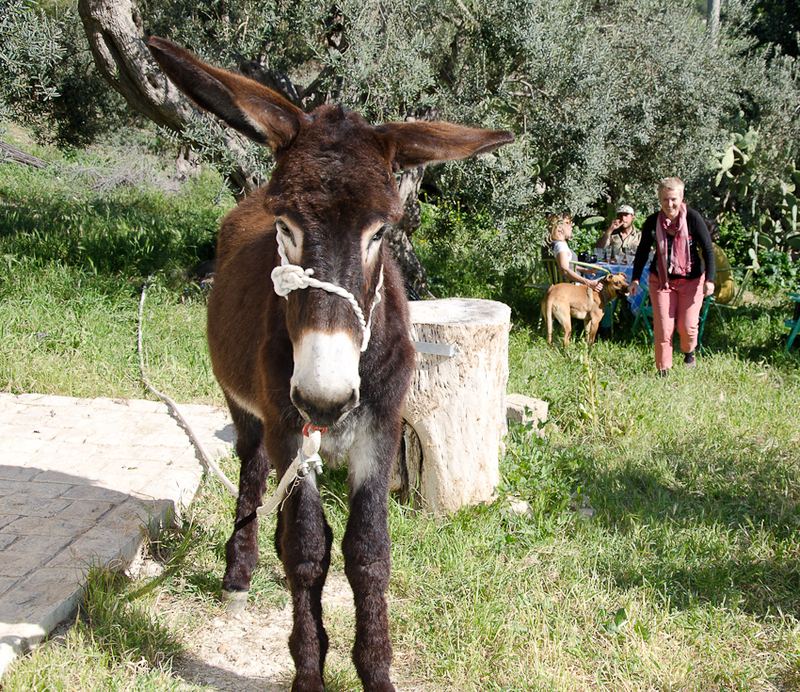 These donkeys are native in the region of Ragusa and were once used to carry sacks and bundles and were eaten once the animal was too old. Now they are bred exclusively for their meat. Just as there is a renewed interest in the native Nebrodi black pig the Slow Food Ark of Taste is also helping to preserve indigenous breeds of donkeys all over Italy and the products obtained from their meat. The donkeys are being bred in limited numbers on special farms. Massimiliano vacuumed packed all of the bits I bought as gifts for my relatives in Ragusa. He does this for customers who order his smallgoods from other parts of Italy as well as overseas buyers. I also bought some Gelatina renowned in this Southeast are of Sicily. I have written about this previously. His reputation is certainly growing and he has been invited to conduct a smallgoods making workshop in Australia in the near future. 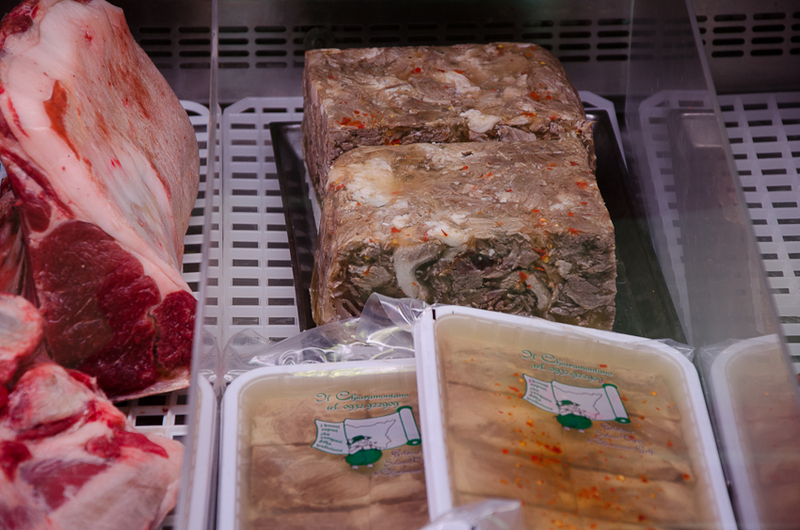 The visit to his butcher shop was kindly arranged by Roberta Carradin and Antonio Cicero who live on the outskirts of Chiaramonte have a restaurant called Il Cosiglio Di Sicilia in Donnalucata. 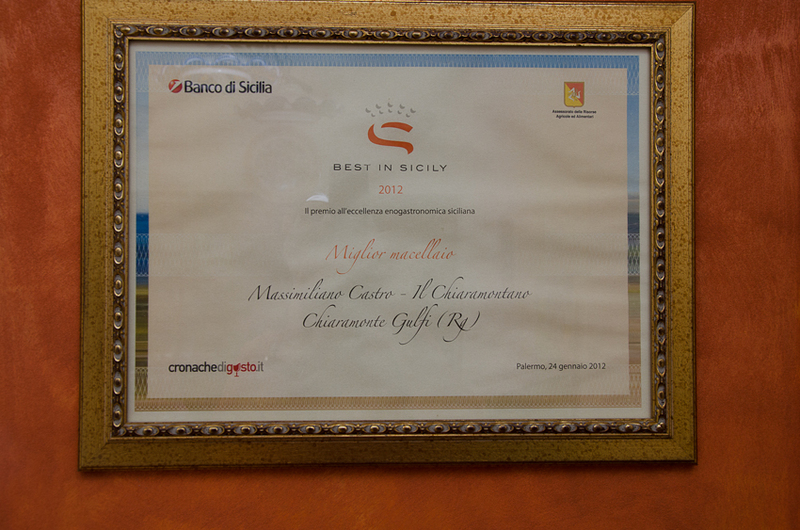 They invited me to visit Massimiliano because they know I’m interested in the quality artisan produce that has developed in this area of Sicily, which has growing reputation for excellent artisan produce. Roberta and Antonio bought the meat from Massimiliano’s butcher shop and we sampled the donkey meat which was tasty and maybe could be described as tasting of veal or young beef. 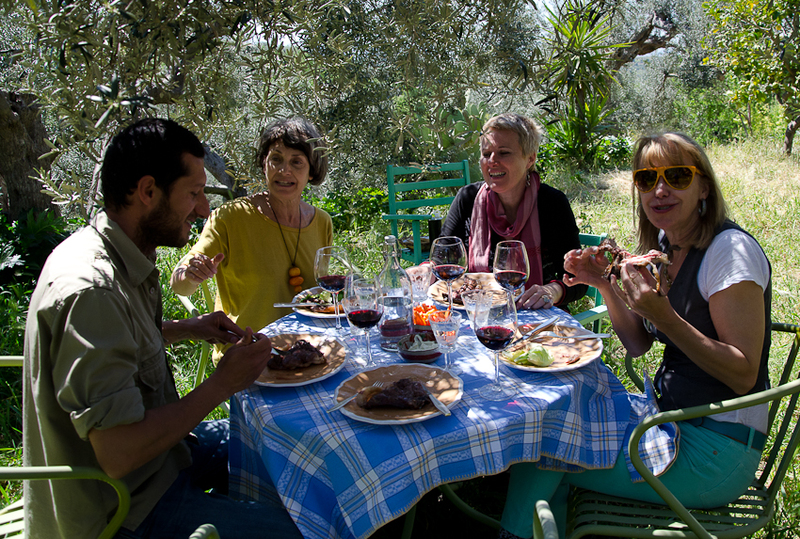 Jann Huizenga wrote about our fabulous lunch on her blog called Baroque Sicily. 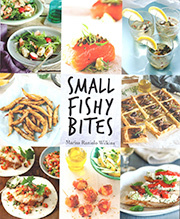 The menu at Robert’s and Antonio’s restaurant features fish freshly caught by the local fishermen off the coast around the small and very attractive fishing village of Donnalucata in Southeast Sicily and dishes of smallgoods and meat from Massimiliano. 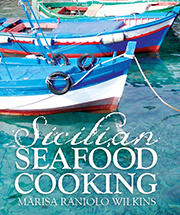 Thank you Jann for introducing me to such lovely friends, each one so passionate about Sicily and its produce. There are so many wonderful things happening in Sicily and each one of you – a photographer, a butcher, a chef and a food critic, all contributing to preserving, developing and celebrating the culinary wealth of Southeastern part of Sicily.